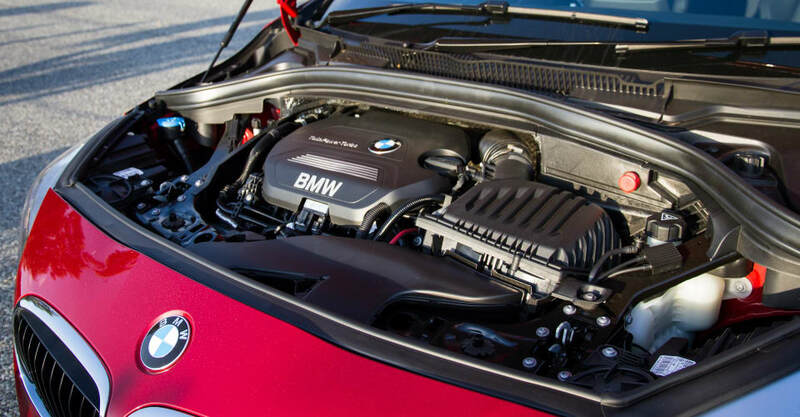 BMW are not alone in spreading their engineering know how and brand appeal to new models in an effort to attract new buyers. It wasn’t too long ago when the Mercedes-Benz line-up was a much simpler choice of C, E, S or SL-Class – and perhaps maybe a Unimog. Now, there is barely a letter in the alphabet or cross-pollinated category the three-pointed star doesn’t have an answer for. At the launch of the 2015 X6 this year, BMW Australia managing director Mark Werner acknowledged that expanding the entry-point of its range was crucial to attracting new buyers – not necessarily those aligned to long-time German rivals Audi and Mercedes-Benz, but owners of other European and Japanese marques. 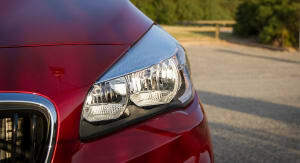 The BMW 2 Series Active Tourer is a key component of this strategy. But given the marque’s long history of driving engagement and sporting heritage, what is the Bavarian take on a five-door front-wheel-drive automatic MPV like? 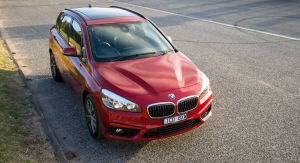 The CarAdvice Melbourne team (including some current BMW owners) took turns in a new $47,800 218d Sport to find out. For mine, the proportions are a bit strange at first. 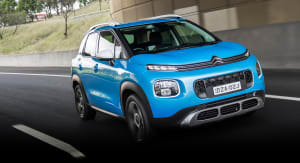 The kidney grilles and quad-lamps seem a bit out of place on a car of this shape and it reminds me of a custom show car that surfaced a few years ago, where the owner grafted an E90 3 Series nose onto a Honda Odyssey people mover. The 2 AT’s silhouette is very much ‘MPV 101’ though – it looks as though it was cast from a relatively generic mould and I can’t seem to get past the slight goofy nature of it. Inside, the high glasshouse and forward driving position give a tremendous feeling of space. 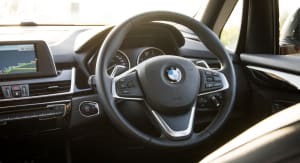 The instrument cluster and steering wheel will feel immediately familiar to past and present BMW owners, but the centre stack placement of the drive-mode selector is different to every other Beemer and can take a bit of getting used to. Cabin materials are all typical BMW and the ‘AT’ feels very premium. The 6.5-inch iDrive screen too, with ConnectedDrive live traffic mapping, is still the best in the business as far as I’m concerned. 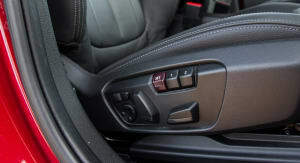 Not great are the small and awkward to access twin cup holders positioned between the gear selector and central armrest. 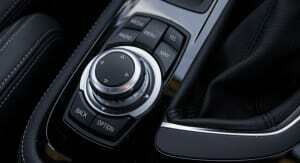 I do, however, love the ‘phone holder’ shelf above the climate control buttons. Helpful for a car that will spend most of its life stopping around schools and shops, the Active Tourer’s boot release is in the driver’s door pocket – the same place as in the all-new F15 X5. It’s not necessarily the best spot but it’s a massive improvement on the 3 Series Touring that has its shoved up under the dash. 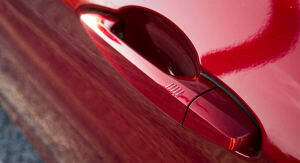 Rear space is great – particularly now there is no transmission tunnel taking up legroom. My daughter, Miss Six, found the back very comfortable and easy to get in and out of, plus the 40:20:40 folding rear seats are on rails allowing for a huge amount of flexibility. The 468-litre boot is easy to access and big enough for daily use. 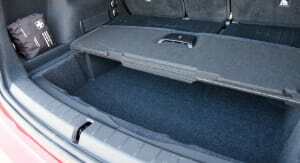 Expandable to an impressive 1510 litres, there’s also a handy cubby under the floor. Overall though, from front seats to rear seats to boot, the AT’s interior is a great combination of ergonomic usability and BMW quality. Big tick. Around town the Active Tourer is very easy to drive. Visibility is excellent and leaving the car in either ‘Comfort’ or ‘Eco Pro’ mode, delivers quiet motoring with enough response for urban stop-start driving. 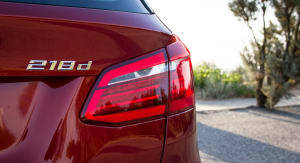 ‘Sport’ mode ups the ante but powered by a 110kW/330Nm 2.0-litre four-cylinder turbo-diesel, the 218d is never going to set the world on fire in terms of performance. It’s no slug but equally it’s not a car for ‘urgent’ drivers. And I dare say most owners will never even use the most sporting mode – I found it more relaxing to simply leave it in Comfort and go with the flow. 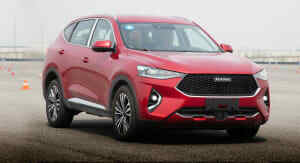 Claiming to use 4.4 litres of diesel per 100km, the 2.0-litre unit keeps its clatter to a minimum and is never intrusive. 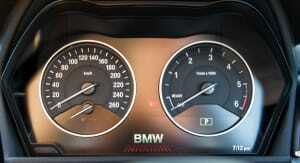 I saw fuel consumption (on a short urban run) stay in the 6L/100km range and found the stop-start function very smooth. 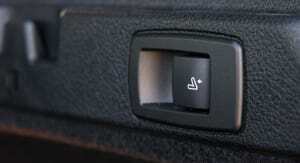 Ride comfort errs on the firmer side, but it’s never jarring and no passenger complaints were recorded. Perhaps not the ‘ultimate driving machine’ or ‘ultimate looking machine’, for some buyers, the 2 Series Active Tourer will approach being an ‘ultimate city machine’. 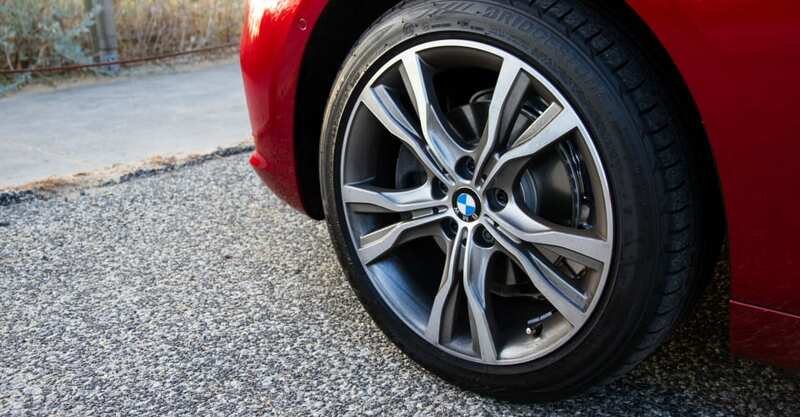 As a big BMW fan, I wasn’t thrilled by the brand’s introduction of a front-wheel-drive model. Sure it makes sense for the intended market, but come on, it’s a BMW! They should always be rear-wheel drive! As a concept, I wasn’t immediately excited about the car, however after only a brief drive, I was suitably impressed with some areas. Jump inside the 218d AT and you’re greeted by a very classic BMW feel, with the majority of controls and screens in their normal positions. One thing I didn’t really like was the new shifter – stick with the classic short, stubby gear selector please BMW. 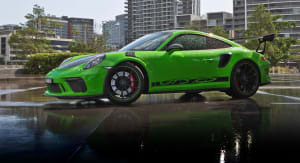 The ride is fairly firm, with minor bumps being felt throughout the cabin – I would’ve thought a softer ride would be more in line with the car’s intended audience. The engine is torquey enough to pull the 1410kg AT along quite capably, and I’d even say it’s rather nippy for a 2.0-litre diesel. I didn’t detect much torque steer either, which is a decent achievement for a car maker’s first attempt at a new front-wheel-drive model. One thing that disappointed me somewhat though was the build quality – the people moving 2 Series missing the comfortingly solid sounding door thump I’m used to hearing from my old E30. I’m not going to lie, I don’t really get what the BMW 2 Series Active Tourer brings to the table over your normal hatchback (the 1 Series) or small SUV (the X1). 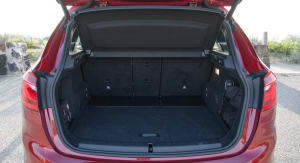 Rear space is excellent but the boot is fairly small (with the seats up). 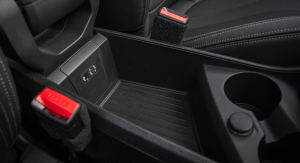 It also doesn’t offer the well thought out practicality of other family-centric vehicles – take the two small cup holders up front that James mentioned for example. The ride is not particularly comfortable or compliant – a base model Golf or Golf Wagon would be a far nicer place to be – and while noise, vibration and harshness levels aren’t shabby overall, the standard run-flat tyres bring with them decent tyre roar over coarse-chip roads. Borderline harsh over some potholes and speed bumps, and entering and exiting driveways, the 2 AT’s front end particularly is very rigid and firm in its damping. This is more odd too considering the car is paired with springs that are soft enough to see the people mover lean and roll through corners. 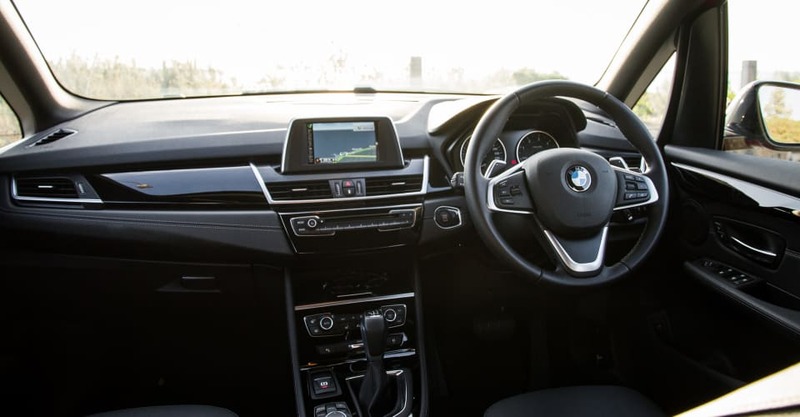 Inside, the 2 Series Active Tourer still looks and feels like a BMW and it is a very easy car to jump straight into and drive, with little time needed to get used to it. The ‘new’ centre console layout is a bit different but it works. 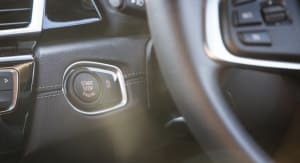 The silver ‘mode’ toggle that allows drivers to switch between Sport, Comfort and Eco Pro does, however look like a strange little handle sticking up for no reason. The 6.5-inch dash-top screen looks a bit stuck on and afterthought-y, but the leather on the steering wheel and gear lever look and feel premium. 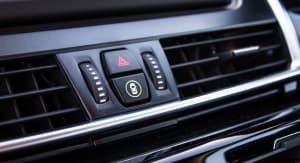 Speaking of the gear lever… the ‘click’ when you push in the button to select gears sounds and feels very plasticy and low-rent – less good BMW. I’m also not a fan of the raised trim off the steering wheel that houses the cruise and audio control buttons. The diesel engine is really punchy and strong. Happy to rev too for a diesel, it’s not too loud from inside the cabin – though it can make a decent racket from outside. And while it wasn’t a common occurrence, it is an odd sensation to feel front wheels spinning though a steering wheel that, when you look down, has a BMW badge on it. 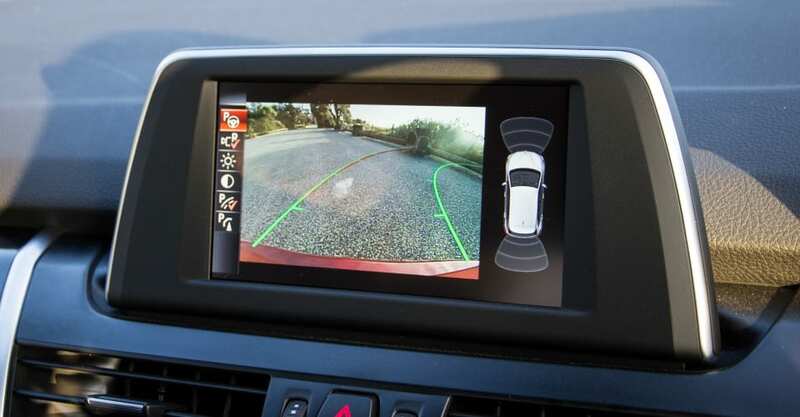 Despite thick B-pillars and relatively large and obstructive A-pillars (with glass cut-outs), the 2 AT is very easy to park – helped a great deal by good rear-view vision, good wing mirrors, and a reversing camera and parking sensors. Light steering also helps around town and when parking, though, it’s never overly engaging and its weighting is inconsistent (heavy off-centre then lightening as you wind on lock). In my time with the car, the gearbox too proved mostly smooth but it did surprise with the occasional clunky shift. 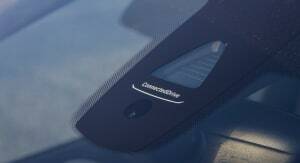 I’m happy to call out that I’m a weirdo here but a big positive I found with the car – and it’s one that endlessly pleases my OCD – is that the windscreen wipers are set up just so, so that there is never that annoying little ‘missed’ triangle of not-wiped windscreen. I think the MPV market is an odd one for BMW to decide to tackle at this point in time too. Yes, the brand had a Mercedes-Benz B-Class-sized hole in its range, but I don’t think it was a gap that really needed filling. 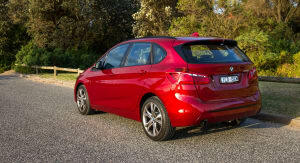 For me, the BMW 2 Series Active Tourer is not a bad car, it’s just a concept not entirely well executed. Compared to my Mum’s 2009 BMW X1, the 2 Series Active Tourer feels much newer and better more refined. Also too though, it feels less like a ‘proper’ SUV than the X1 and I have to say that I’m not a huge fan of its somewhat bulky styling. 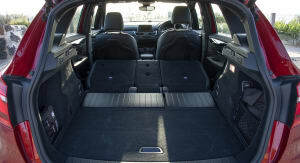 It is a big ‘small car’, however, with a spacious cabin giving the impression of more space than a normal hatchback. That said, it’s still nimble enough to slice through traffic and easily slide in and out of parking spots. 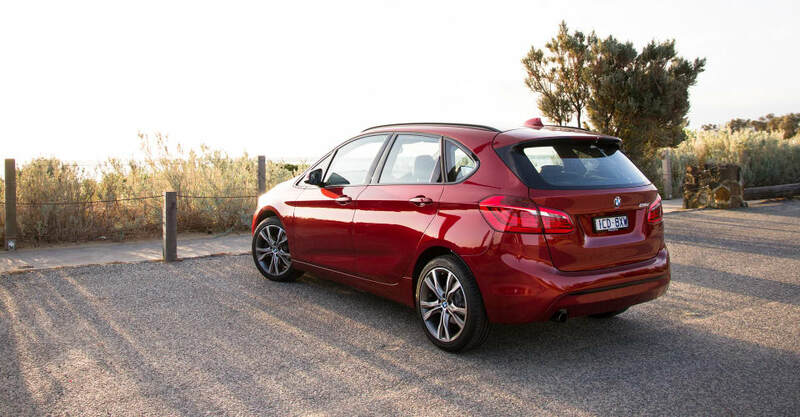 For me, the BMW 2 Series Active Tourer is a car best observed from the inside. I’m not a huge fan of the exterior styling but can appreciate why some people would like it. I love the interior. It’s such a great layout that suits the car perfectly. 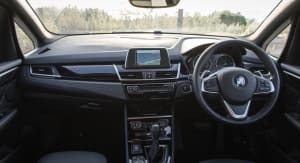 The fact it’s front-wheel drive instantly means more legroom within the cabin too – there’s no longer a need for an intrusive centre driveline. I also love the interior tech and look and feel of the materials used throughout the cabin. 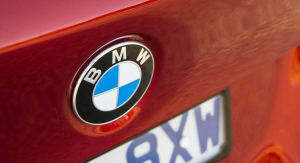 It feels upmarket and befitting of the BMW marque and price tag. I found the drive to be excellent. Even with four passengers on board, the perky diesel has enough torque to keep the car moving along well. It’s quite efficient too. 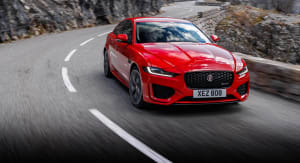 It can torque steer at times (say if you hit a pothole or decent undulation while accelerating) but it’s not enough to be a significant issue. The tech is textbook BMW. 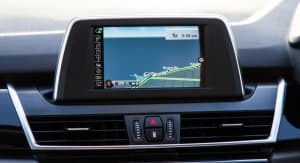 Our test car had the larger screen with navigation and BMW ConnectedDrive, which is a class leader in terms of usability and functionality. The stand out points for me, are the 2 AT’s versatility and interior room – I could fit my bike in the back with the rear seats folded down (you can’t do that in any BMW sedan). The only real bad points from my view is the Active Tourer’s ‘quirky’ styling and its occasional front-wheel-drive quibbles. We’ve had a few diesel wagon’s through the Melbourne garage, so I can’t help but compare the BMW to the like of the Golf, Peugeot 308 and Skoda Octavia. 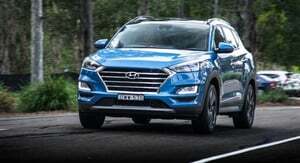 In my opinion, the styling is a bit on the boring side – it could look sportier. The interior look and feel is very nice though, and feels a step up from those listed above. Space too is top notch. Dashing briefly into the city, I knew finding a parking spot was going to be a nightmare, but I found the 2 AT great for nipping around town and parking. It’s amply responsive at urban speeds and when dealing with the stop-start commute, but it’s not quite as punchy as I would have liked. For me the in-car tech is a bit of a mixed bag. 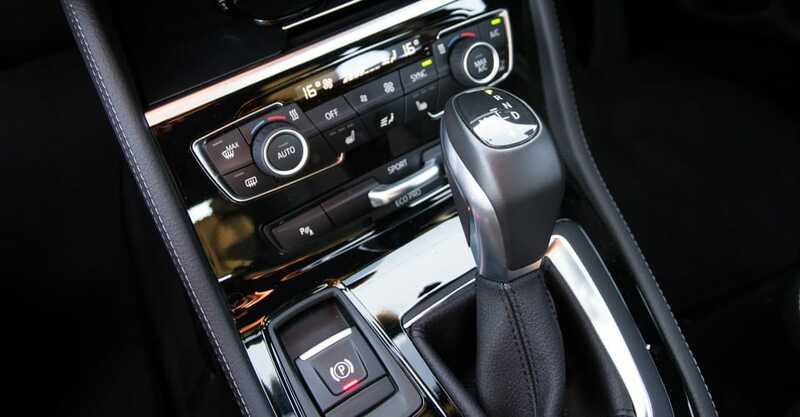 I’m sure once you’re used to the iDrive system it’s great but not having spent much time in BMWs, my first impressions are that things feel a bit ‘old school’ – I really want a touchscreen. So there you have it. Some love it, some don’t. 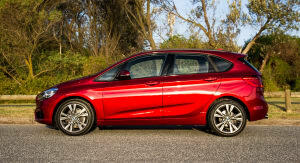 But so far this year BMW have shifted 1,269 units and given Mercedes-Benz enough incentive to facelift its B-Class MPV. 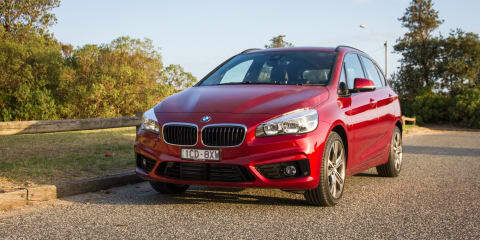 The segment may be somewhat niche – especially given the ever expanding range of small and compact SUVs available in Australia – but over our time with the BMW 2 Series Active Tourer, it proved to be largely popular and mostly impressive. 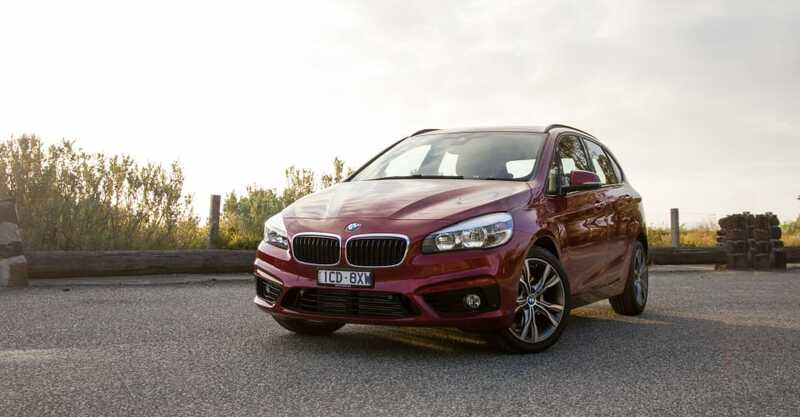 Click the Photos tab for more 2015 BMW 2 Series Active Tourer images by Tom Fraser.